The HARBOUR GRAND HONG KONG is a Tourist, Modern, Business, City hotel, Honeymoon, Full Service, Child Friendly hotel. Located in Kowloon area. Shopping is accessible by bus/taxi and the nightlife/restaurants are located in the hotel. thanks very much kind and warm service during stay in hotel. I stayed at this hotel for celebrating 21st wedding anniversary including my son. When I arrived this hotel, I am very appreciated that hotel made welcome wine and cake, and upgraded the hotel room and good harvour view. my family including my family is very happy during whole stay in hongkong. the view was fantastic, and swimming pool was wonderful. thanks again expecially Ms. Alice Lai. I am very thanksfull for your kind services and warm attidude. I used other hongkong hotels after macao trip. but I can say this hotel is best of best. love this hotel. great service, very clean rooms, excellent food and beverages. whenever I travel to Hong Kong, this is my go to hotel. close to the MTR, safe, with great service and its very clean. drinks on the 41st floor is a must and the sushi restaurant is very good. Very disappointing quality. Urgent need for improvement! Impressive entrance hall but rooms in urgent need of refurbishment. Damp smell in the corridors and very penetrant damp smell in the room, sheets dirty and duvet cover ripped. Signs of humidity on wall paper and around electricity connection! Big lamp (180cm tall) not working. Clearly lost all glory. Condition of room and sheets is far below a ****(*) rated hotel! 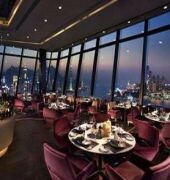 Curious to see itâ€™s brother Harbour Grand Kowloon where I will be checking in. I stayed at Harbour Grand Hong Kong in February. The staff, food, drinks and ambiance was amazing. The hotel was clean and definitely focused on the customer experience. The hotel is in a great location with easy access to public transportation and site seeing. I would highly recommend this hotel to anyone visiting Hong Kong. I am going back in May and will be staying at this hotel again. The hotel was super nice. We loved the location. There is a great running trail along the water. The breakfast is very tasty with a ton of options. There a lot of restaurants, Starbucks and shopping with in walking distance. One note - floor 12 is a smoking floor. If you donâ€™t want to smell like, ask to not stay on floor 12.